At Coast High School, a college prep alternative school of choice, coursework is comparable in length, content, and rigor to a traditional high school. Our learning options are strategically aligned to cutting edge state standards and include rigorous A-G college preparatory courses implemented by highly qualified teachers leading to a fully accredited high school diploma. 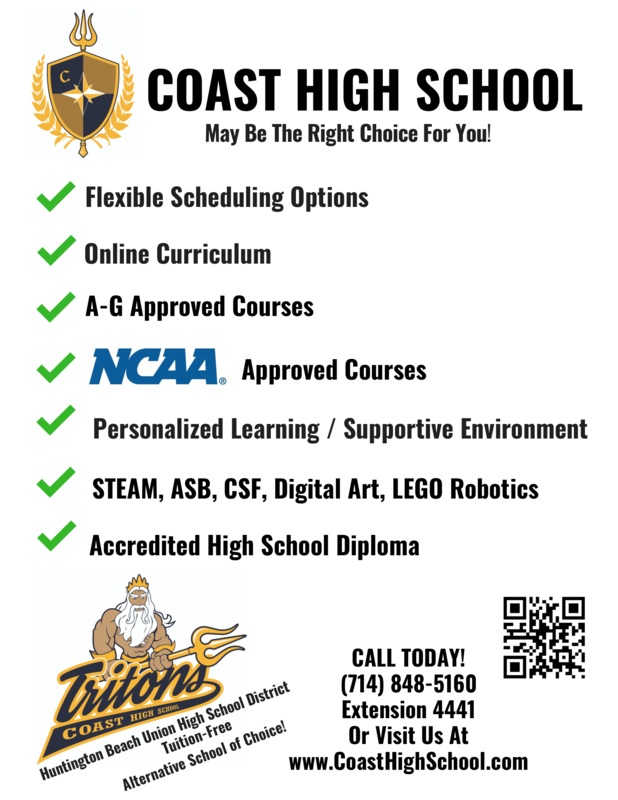 Advanced Placement and NCAA approved curriculum options are also available. For more information please visit the "About" tab on our website, including "Message From Our Principal" and "How To Enroll." You can also contact (714) 848-5160 x4441 with questions.